New, entry-level audit service enables retailers to recover lost profits, gain actionable business intelligence, and experience best-in-class vendor compliance with a very low implementation cost. 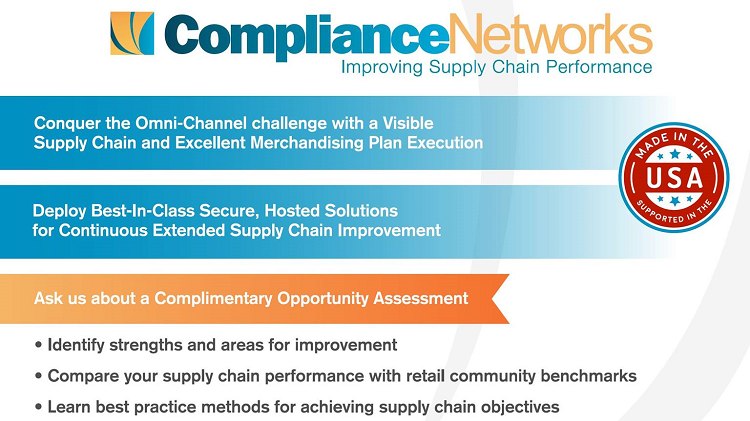 Compliance Networks, the leading provider of vendor compliance optimization solutions, now offers a best-in-class transportation performance audit for retailers who seek profit recovery, ongoing near-term and long-term on-time delivery improvement, and essential business intelligence. A Time to value of 30 to 60 days. The Transportation Performance Audit addresses two critical constraints retailers often face: limited working capital and over-committed IT resources. According to Greg Holder, CEO of Compliance Networks, "In addition to facing strong economic headwinds, retailers are extremely under-resourced in IT departments. With our transportation performance audits retailers can return profits back to the bottom line in 60 days or less with very little IT involvement" Our sophisticated transportation audit methods will recover substantial profits for our clients and our advanced business intelligence solutions will enable them to leverage the transportation history captured during the audit process. In today's challenging economy, actionable intelligence is more important than ever." Automated deduction of violation penalties from order payments based on the individual retailers unique routing guide considerations.